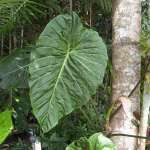 Aroid Forum: Philodendron hybrid names . I recently found some of Keith Hendersons fantastic hybrid Philo. gloriosum x andreanum [ correctly melanochrysum] . I know this plant is in Hawaii and most likely in some collections on the mainland . Has anyone seen it with a cultivar name ? Did Keith ever name it ? Is he still around ? I know , so many questions . Has some red reverse to the leaf , and can get very large . Will put a few pics onto the ID site later tonight . A few people in the US are already after me for some . >Has some red reverse to the leaf , and can get very large . >Will put a few pics onto the ID site later tonight . >A few people in the US are already after me for some . I would be very forthright in stating my interest in this plant, cough, cough. 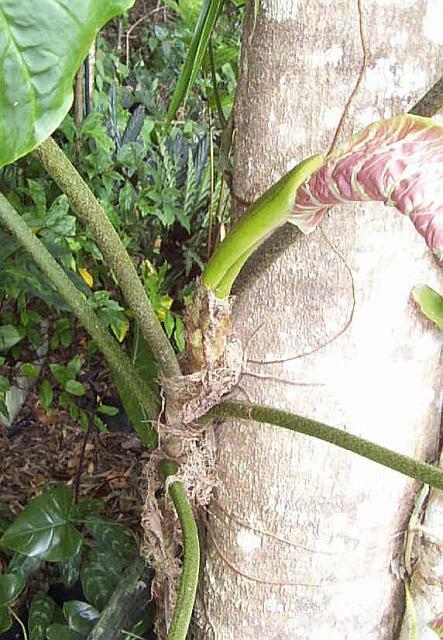 Subject: Re: [Aroid-l] Philodendron hybrid names . Keith Henderson is still around for sure. He lives in Australia as before. You could write to Keith and ask him. 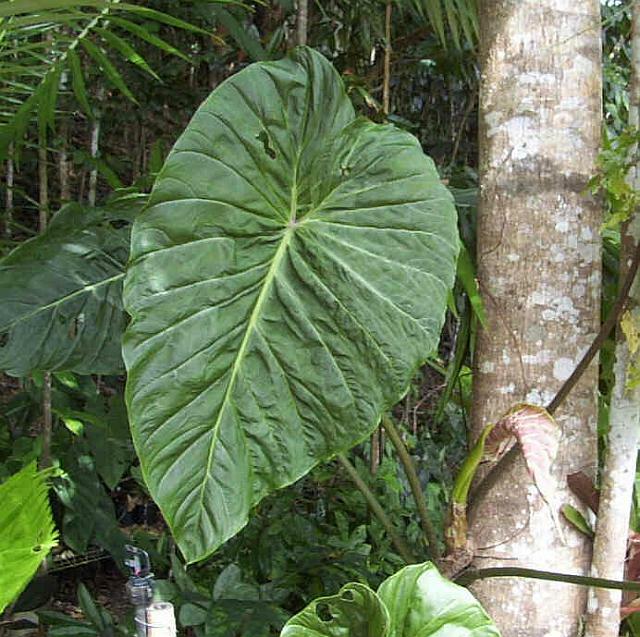 Subject: [Aroid-l] Philodendron hybrid names . Listen now! New music from the Rogue Traders. The pictures of the Philo I want Id'd will not be put up onto the ID site until next year .So I compressed them a little and will add to this email . I nearly convinced myself it was P.gigas as Tom had sent a cutting of it to Whyanbeel Arboretum . corner of my G/H . L O L .. So I compressed them a little and will add to this email . Peter Sargent assures me that it did not survive the quarantine . Join Lavalife for free. What are you waiting for? >of it to Whyanbeel Arboretum . >Peter Sargent assures me that it did not survive the quarantine . kind of indumentum on the petioles. Is that true. I don't think that P.
gigas has any such indumentum. site until next year .